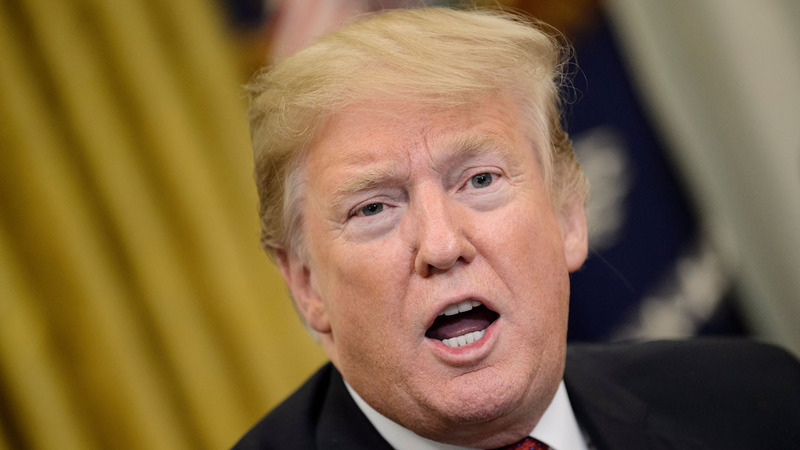 President Donald Trump is proposing a congressional ban on late-term abortions as he seeks to expand his conservative support ahead of the 2020 election. In a State of the Union speech that had been billed as promoting unity, Trump seized upon one of the most sensitive and divisive issues in the country. Such a law would have little chance of passage in the Democrat-controlled House of Representatives. That did not prevent the Republican president from raising the abortion issue again on Thursday during a National Prayer Breakfast. “All children, born and unborn, are made in the holy image of God,” he told the religious leaders at the event. The law passed by New York’s Democratic-controlled legislature would allow for an abortion in the third trimester in rare cases — only if the health of the mother was in danger or the fetus was not viable. Democrats are promoting a similar law in the state of Virginia. Defenders of the laws say this is not the case. “Mr. Trump and the religious right are spreading falsehoods about New York’s law to inflame their base,” New York Governor Andrew Cuomo, a Democrat, wrote in The New York Times. “The Reproductive Health Act guarantees a woman’s right to abortion in the first 24 weeks of a pregnancy or when the fetus is not viable, and permits it afterward only when a woman’s life or health is threatened or at risk,” Cuomo said. “Activists on the far right continue to mislead with the ridiculous claim that the act will allow abortions up to a minute before birth,” he said. Cuomo said he signed the law to “protect against Republicans’ efforts to pack the Supreme Court with extreme conservatives” to overturn Roe vs Wade, the 1973 Supreme Court decision allowing abortion. Trump has managed to tilt the balance on the Supreme Court with the nominations of two conservative justices, giving rise to fears in the pro-choice camp that Roe vs Wade could be at risk. Roe vs Wade permits abortions as long as the fetus is not viable outside the womb — usually until 24 weeks. Some states have restricted abortion after 20 weeks. Late-term abortions are actually quite rare. According to the Centers for Disease Control and Prevention, more than 90 percent of the abortions performed in 2015 took place before 13 weeks and only 1.3 percent after 21 weeks. Dr Daniel Grossman, writing in Rewire.News, said there are “many, often intersecting reasons” for a woman to seek an abortion after 20 weeks. Medical complications to the mother or the fetus can be a reason but other contributing factors may be the growing shortage of abortion clinics or “unnecessary waiting perods,” Grossman said. According to a Gallup poll, 60 percent of Americans believe abortion should be legal during the first trimester, but only 28 percent believe so for the second trimester and only 13 percent for the third trimester. Jo-Renee Formicola, a professor of political science at Seton Hall University, said the abortion issue is one that resonates with Trump’s supporters. “He has tremendous support among evangelicals, significant support with Catholics,” Formicola said. “This is something that appeals to Middle America and that’s where his strenghth is,” she said. “This is the beginning of a narrative about dignity, the worth of the individual, for the Republicans for 2020,” Formicola added. Trump also seized upon abortion during the 2016 presidential election against Democrat Hillary Clinton. “If you go with what Hillary is saying, in the ninth month, you can take the baby and rip the baby out of the womb of the mother just prior to the birth of the baby,” Trump alleged during their final debate. “It excites the base,” said Larry Sabato, director of the University of Virginia’s Center for Politics.